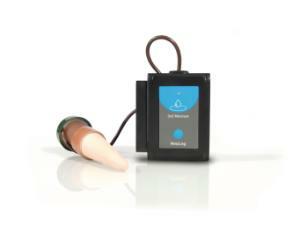 The tensiometer on this logger sensor measures soil moisture via pressure level. When the soil is dry the water exits ceramic holes in the end due to diffusion, when the soil is wet the vacuum in the tensiometer pulls water inside and the vacuum decreases. This sensor supports experiments lasting from 1 second to 31 days.